Have you ever heard the phrase "When life gives you lemons, make lemonade"? 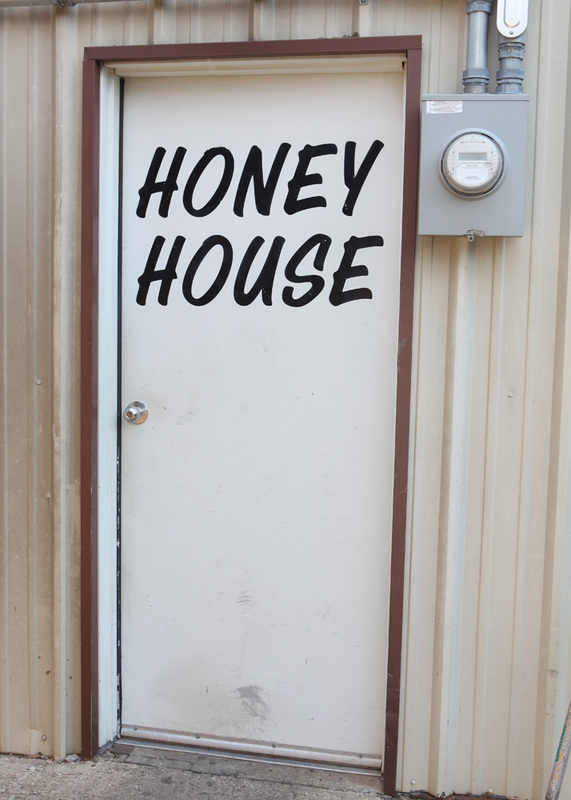 Well, recently we turned our lemons into honey and came up with a great plan B for Farm Camp that was rained out by Tropical Storm Cindy. Even with all of our modern technology, we cannot control the weather, and it has a way of changing our plans from time to time. It happens to all of us, and farmers understand keeping an eye on the sky more than most. In fact, that's Farming 101. Farmers make a plan for planting, fertilizing or harvesting. The execution of those plans are completely dependent on if, when and how much it rains. The rain just kept coming at the farm during Tropical Storm Cindy. In June we planned to take a group of students from south Dallas to Farm Camp, but the drenching storm had other plans and covered southeast Arkansas with flooding rain during the exact days of our trip. The morning our group was set to leave Dallas, a decision was made to postpone camp. Food had been purchased, speakers had been engaged, activities had been planned, and at the last minute all the plans changed. Not wanting to completely scrap the opportunity of our weekend, we quickly started to brainstorm about what we could do in Dallas on such short notice. Marvin Walker and Reshod Fortenberry were set to be our health and wellness speakers for camp, and, as usual, were up for anything. They were willing to regroup with a remnant of our campers on Saturday morning and engage them. Also, Nature Nate’s came through at the last minute and offered to give our group a tour of their bottling facility, which is located on a lovely farm outside Dallas. Reshod Fortenberry and Marvin Walker speaking on health and nutrition at Nature Nate's farm. Having a few key components pulled together, lots of fresh food on hand and a group of adventurous students, we decided to go for it. That Saturday morning brought heavy rain to Dallas, but our team didn’t let that stand in the way and moved forward with umbrellas and wet sneakers! First, we met for breakfast, games, and a devotion led by Marvin. He spoke truth to our students about their eternal value and the significance of each of their lives. Have you ever tried to get a cookie into your mouth using just your facial muscles? It is NOT easy! Marvin helping our crew wake up and teaching them truth about the value of their lives. Next we loaded up our crew and headed to Nature Nate’s farm. Tim Spaight greeted us and handed out hair nets, shoe covers and release forms. His quick wit (and the fact that we were all feeling pretty goofy in our hair nets) quickly gave our group a light hearted vibe. 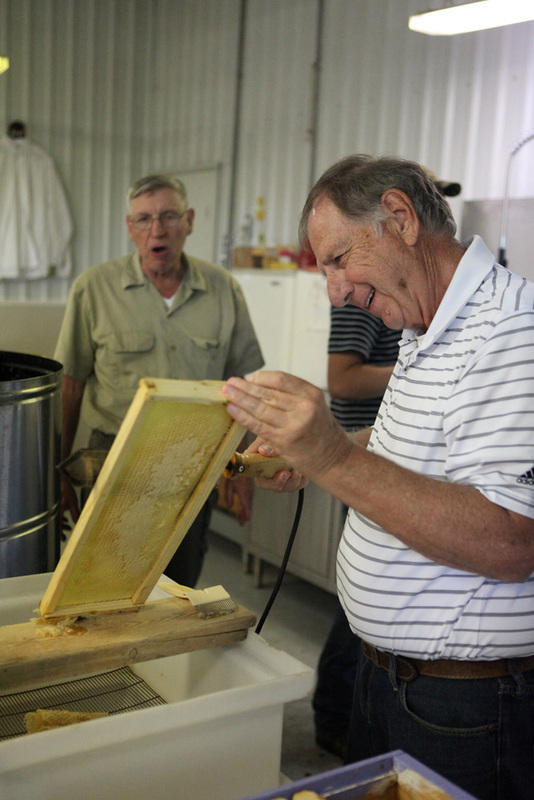 Once we were suited and ready, he took us through their process of bottling golden, delicious honey from beekeepers around the country and preparing it to be distributed and sold. nationwide. Our students were intrigued by the automated bottle filling process and the fascinating life of bees. 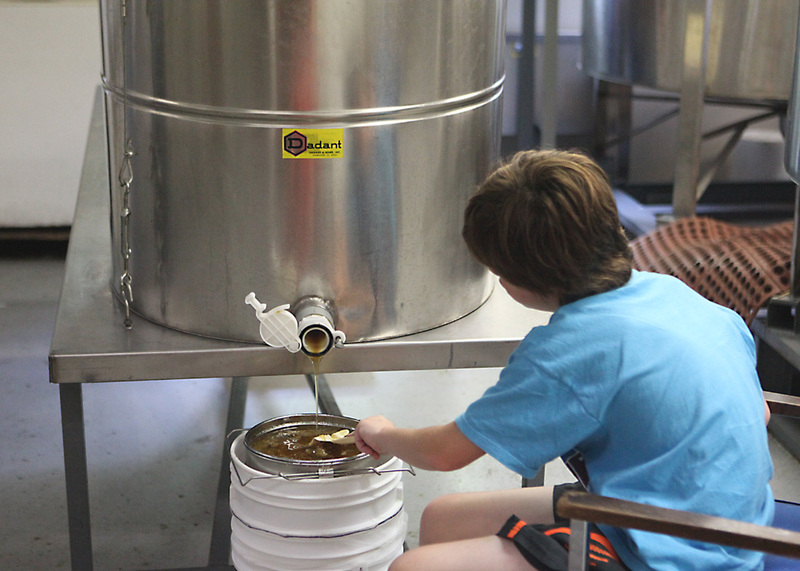 Tim shared lots of facts about honey, bees, and the hospitable culture of Nature Nate’s. He allowed us to ask questions and certainly made us feel at home. Tim Spaight of Nature Nate's. After the tour, our group settled on a large porch to share a meal together. Any time we have a farm gathering, you know there will be plenty of wonderful, healthy food! From fresh tomatoes, corn, and blackberries to smoked turkey and fresh bread, we enjoyed a filling lunch. Once we were full, Marvin and Reshod addressed our group about nutrition, stating that we are stewards of the bodies we’ve been given and have an opportunity to respond to God’s love by taking care of ourselves. Marvin and Reshod are both athletes and can speak first hand about the impact of food choices on a body’s performance. Reshod's family lives in the Dallas area and they came to support him that morning. We were thrilled to host them as they encouraged Reshod. They added a great family dynamic to our group and even shared a few stories about their journey to health. As our time wound down, the rain cleared and Nature Nate’s allowed our students to run on their spacious lawn and play a little football. Many of our students greatly appreciate the opportunity to play in a wide-open space and gather in safe environments. It’s always fun to see how a group of kids can come together with seemingly little in common and wind up laughing and playing before long. 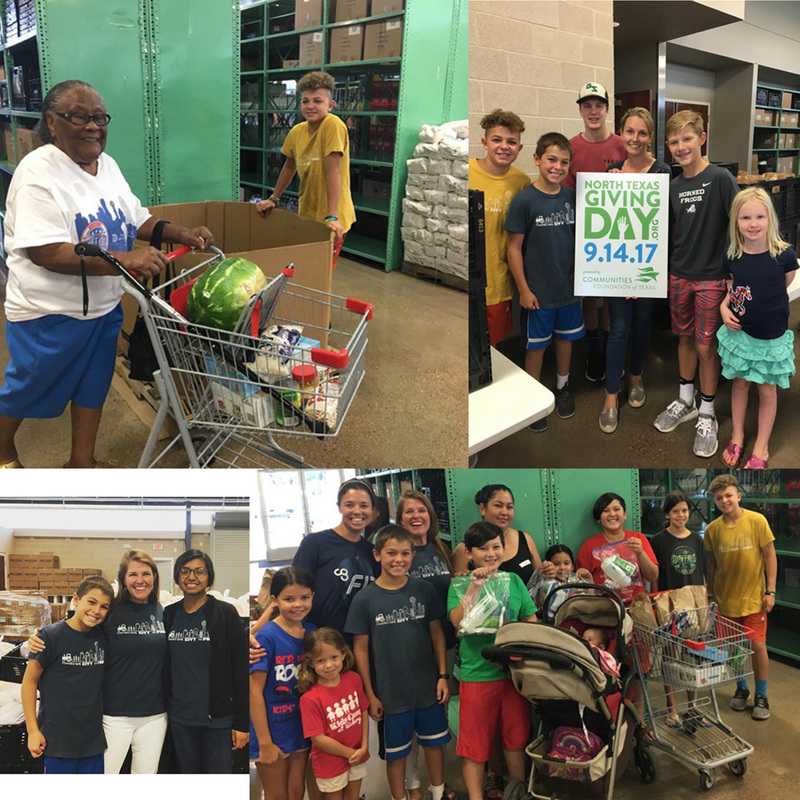 While Tropical Storm Cindy kept us away from Farm Camp in Arkansas, our gracious partners and students rallied like champions and enjoyed a lovely Saturday morning together…and we all went home with honey! We are so thankful to Nature Nate’s for their hospitality and to Marvin and Reshod for their flexibility! 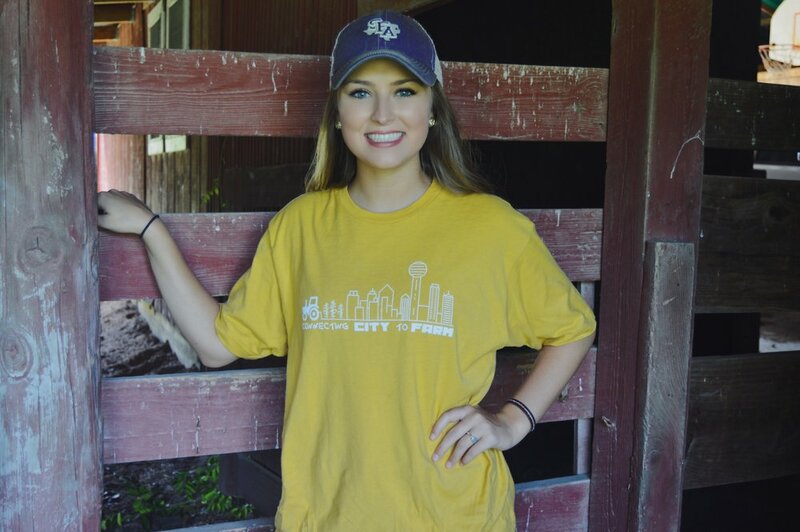 Agriculture graduate student from West Texas A&M Univeristy, Zahra Shihabuddin, joins us to learn more about our mission at Connecting City to Farm. We are thrilled to have her as part of our team! Zahra grew up in Mombasa, Kenya then her path led to pursue a college education in Canyon, Texas. At WTAMU she earned a Bachelors degree in Plant, Soil, and Environmental Science, and is currently working toward her Masters degree in the same field of study at the same university. Her exposures at WTAMU have been so inspiring and rewarding that she states, "being part of the agriculture community is one of the best decisions I have made in my life." She's passionate about the agriculture community, knowing that the world's population depends on their work. Zahra wrote an essay expressing her analysis and research on GMOs. Having close ties to developing countries, Zahra has seen hunger and poverty in different ways than many Americans. She sees great value in genetic modifications motivated by her knowledge of the significant hunger problems our world faces. We're intrigued by her experiences, perspective and enthusiasm for the monumental task of feeding our planet's growing population, and wanted to pass along her conclusions to you. Welcome, Zahra! We're grateful to know you! You are a bright spot in the future of agriculture. Zahra in the AgriLife research plots at West Texas A&M University. Why are GMO’s important to you? GMO is an acronym for genetically modified organisms, according to University of California, San Diego, “When a gene from one organism is purposely moved to improve or change another organism in a laboratory, it is also sometimes called “transgenic” for transfer of genes,” this is done to develop plants that are insect, draught and freeze resistant and or tolerant. Furthermore, these plants’ produce are made to be of the best nutritional value for us (the consumers), farmers around the world work extremely hard to ensure that we have a constant and sufficient food supply all year round. There is a direct relationship between genetically modified food and the world’s growing population. It is important to recognize that the rapid increase of people translates to a more rapid demand for food, fiber and feed considering the significant decrease in arable land. According to Leaver’s presentation (2014), FAO, World Bank Statistics show in 1960, approximately 2.5acres was sufficient to feed two people; 45 years later the same amount of land could feed four people, “As a result 1 in 6 of the world’s population, is hungry today, and we have to increase food production by 70-100% by 2050”. In addition, it is foreseen that, in the next 25 years the same land will feed five people and also the world will have 9 billion people at the same time (Leaver, 2014). Genetically modified food is important to us because a small portion of land can produce a large amount of food given the appropriate environment. However, the trending question remains “What is the difference between genetically modified food and organic food?” According to USDA (2016), organic food should be grown avoiding most synthetic materials for instance, pesticides and antibiotics using agricultural methods that conserve the environment. This does not mean that no pesticides are used! Genetically modified food is grown using synthetic pesticides, but it is important to remember that all pesticides are regulated and will not pose a threat to human health. Pesticides are used to protect our crops from insects and weed pressure, they have a time frame in which the toxicity reduces and disappears. Genetically modified food and organic food do not have much difference except that organic food is more labor intensive, not economical at large scale and the quality of the product is not assured juxtaposed to GM food. Another thing to consider while obsessing over organic products is being aware of what is actually genetically modified and in the market. Many companies take advantage of buyers who perceive organic products as “safer” and “healthier”. An example from a study done by genetic literacy project, “a search of avocado oils from AvoHaus showed a 250 ml bottle of organic non-GMO Project certified avocado oil was $15, while a conventional extra-virgin avocado oil bottle of the same size was $12.50. An 8 oz. bottle of Non-GMO Project avocado oil was selling for $12.75, while a conventional bottle of avocado oil was selling for $7.35 for 17 oz.—interestingly there are no GMO avocados” (Porterfield, 2016). In conclusion, genetically modified food is produced for the benefit of the growing population, to ensure that everyone has sufficient nutritional food. This is the same for organic agriculture however considering the cost, labor and time it takes to produce organically in contrast to genetically modified is a decision we must be vigilant in making. "GMO." GMO. University of California San Diego, n.d. Web. 23 Aug. 2016. Leaver, Chris. "The Challenge of Achieving Food Security and Sustainability For Nine Billion." LinkedIn Slide Share. 12 Feb. 2014. Web. 23 Aug. 2016. "Organic Agriculture." U.S. Department of Agriculture. N.p., 02 June 2016. Web. 23 Aug. 2016. Porterfield, Andrew. "Differences between Non-GMO and Organic: More Profits for Farmer, More Costs for Consumers | Genetic Literacy Project." Genetic Literacy Project. N.p., 27 Apr. 2016. Web. 23 Aug. 2016. "World Population Growth Charts --- MORE Than Exponential." World Population Growth Charts --- MORE Than Exponential. N.p., n.d. Web. 23 Aug. 2016. Kelly asked me how I get my kids to eat more vegetables. She made my tips look so good! The next question Kelly asked me was one that I discuss with fellow consumers very often: "Do I have to buy organics to be healthy?" Read the article below to learn why I am so confident in my answer which is "No way!" We recently had the privilege of meeting several of the Directors at Texas Farm Bureau. This terrific organization tirelessly promotes Texas agriculture and enthusiastically supports farmers around the state. Gary Joiner was kind enough to give us a few minutes of airtime on his daily radio program to spread the good news about how Connecting City To Farm is using the lens of agriculture to battle hunger and promote health. Listen here. We recently had the privilege of hosting our fourth Farm Camp, and the thing I can confidently say about camp is that every one is different! Flexibility is essential at Farm Camp. It's always exciting to plan and prepare, coordinate and collaborate, but you never know what's actually going to develop until you live it out. 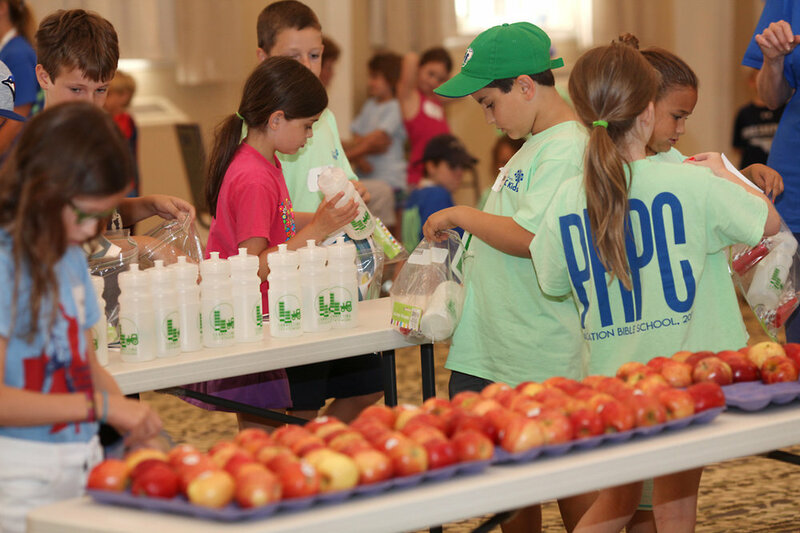 Each Farm Camp has its own unique set of opportunities, logistics, and dynamics. On April 27th, we collected students from different schools throughout West Dallas and North Dallas to load into a 15 passenger van and travel to our farmhouse in southeast Arkansas. After a 6 hour journey, we arrived just after dark, enjoyed a healthy snack, and settled into our rooms. Introductions were made. Ground rules were set. And we were ready to enjoy the weekend together. Dennis Kelly joined us as our guest speaker and health expert. With his vast experience of training athletes in physical development and nutritional wisdom, Dennis was a terrific fit for imparting simple, accessible health truths to our campers. Throughout the weekend, he shared a series of health-focused lessons teaching basic facts about how food affects our bodies, the benefits of regular physical movement and the value of living intentionally. The students engaged with his lessons and thoroughly enjoyed his companionship as they explored the outdoor activities. What an honor to have him as part of our team! I learn something new at every Farm Camp. The field of agriculture is deep and rich and extensive, and every facet has its intricacies. 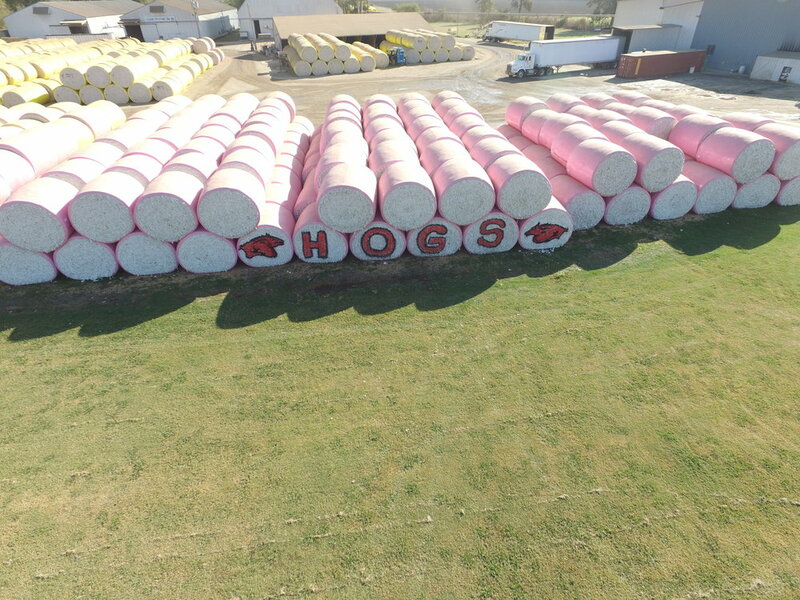 Our gratitude is great for our partners at the University of Arkansas Ag Extension Department who supply us with an endless range of learning opportunities. Jason Davis hauled his traveling classroom four hours to give us the experience of an outdoor learning center in which he led us through a fascinating lesson on the use of GPS in agriculture. He began with an advanced mathematical formula and ended up with a spray simulator that works like a video game. And yes, it is all directly related to ag! Jason gave our campers a vision to pursue their education and prepare for the many career opportunities that ag offers. Experts in the fields of science, technology, engineering and math are all in demand for modern famers to continue safely feeding our world's growing population, and Jason inspired the next generation to be ready to take on the challenge. One of my favorite parts about Farm Camp is the beautiful blend of folks who find their way to the farmhouse. Lunch on Friday served as the platform for a community gathering as we opened our doors and enjoyed a cookout graciously sponsored by Rabo Agri Finance. Local farmers, regional salesmen and national bankers descended upon our little farmhouse to share a meal with our student campers, nurturing leaders and committed volunteers. A wide variety of ages, careers, cultures, and backgrounds were represented as we gathered around to meet and learn together. How exciting to discover commonalities in the midst of deep diversity! Aerial Applicators take risks in their job every day. Most of the risks involve flying long hours over acres of crops staying intensely focused on instrument readings and multiple gauges. But some times the risks look like hosting a group of 30 students and leaders from Dallas for lunch in their hangar! David Glover of Precision Air and Timber graciously welcomed us to his airplane hangar and served us a delicious BBQ lunch while we learned about his fascinating craft. Ryan Simmons joined David as these men explained the strict federal safety regulations required for aerial farming. We also learned about the speed of the aircraft, the weight it can carry, and the acreage it can cover. Our time ended with a closeup look at the plane and a peak inside the cockpit. What an enriching experience to Farm Camp! Greg Jones is a leader who is courageous and faithful, committed and fearless. 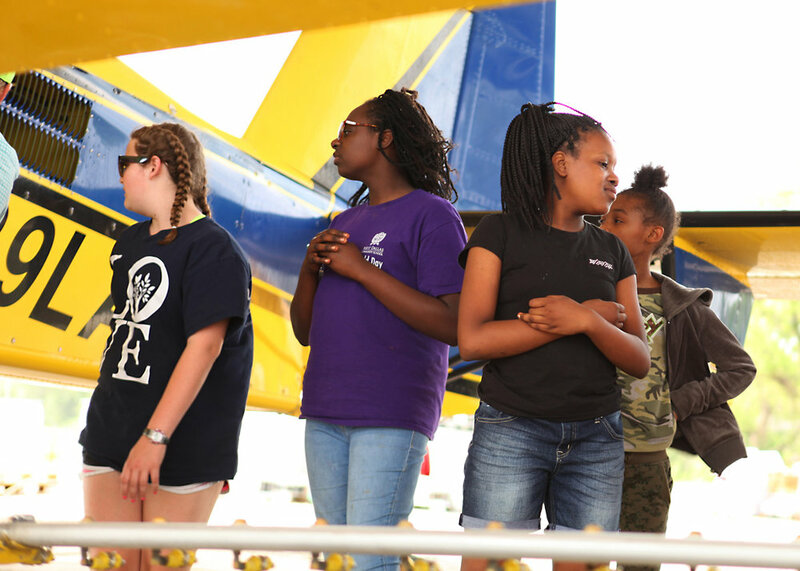 He serves as the Outreach Minister at West Dallas Community Church and took on the challenge of bringing his Middle School students to Farm Camp. With his deep belief that the youth in his community desperately needed to experience the freedom and peace found in wide open spaces, he led them to our farm to receive the seeds planted in their hearts that could change the trajectory of their lives. Greg saw the opportunity for the future of his neighborhood to be improved by showing these kids where their food is grown and learning how their bodies were designed to respond to it. My respect for this kind gentleman knows no end. As we look to our Summer Farm Camps with great anticipation, we wait expectantly to see how things will unfold. But there is one thing we already know: it's going to be a tremendous time together as we learn to sustain ourselves and the environment! I had a conversation with my friend Emily Thomas recently about the common myths of certified organic products. Emily is a terrific girl and a dear friend. She hosts a weekly podcast highlighting the struggles of motherhood and how we can link arms and encourage one another. Emily had seen a little of my journey on social media but we hadn’t had a chance to visit in person about it. I saw her at a conference and had the opportunity to tell her what I had discovered about modern agriculture. I shared the freedom I now feel in the grocery store because I am confident in my food choices. She was very interested and began inquiring. I was happy to share the 5 things I assumed about Certified Organic Products before I dug past the food labels to find relief in understanding. I had assumed that organic products were healthier, but I learned that after many independent scientific studies, no nutritional differences have been found between organic and non-organic foods. Since it’s not healthier or better for me, that means I couldn’t be poisoning myself or my kids if we eat non-organic produce. Relief. I had assumed that organic farming was better for the environment, but I learned that it is actually much more demanding on our natural resources like water, land and climate. Because organic farmers are limited in the kinds of nutrient management practices they can use based on their 30 year old regulations, the yields in organic fields are significantly lower. As a result, more acreage is required to produce the same amount of yield that a conventional farmer can produce. This unnecessarily removes chunks of prairies, forests and wetlands from natural habitation. More water is required because the weeds are competing with the crops. Tilling is a common practice to try to reduce these weeds, but scientists now know that breaking up the soil is a major way Green House Gases are released into the atmosphere. Additionally, more fuel is burned as a result of the increased number of passes tractors have to make over each field. Armed with modern scientific discoveries and the freedom to use a broader repertoire of farming practices, conventional farming is more sustainable for the environment. Since these practices are more eco-friendly, I have confidence to purchase non-organic. Relief. I had assumed that the Certified Organic label was an indication about the actual food that I consumed, but I learned that it's really just a label that indicates what type of farming practices were employed. Again, in order to sell under the Certified Organic label, farms must adhere to regulations set 30 years ago by the USDA. Science, medicine, technology, transportation and so many other industries reflect ever-changing improvements, and conventional farmers do too. Their food is safe and their practices are sustainable. Since it doesn’t truly reflect a standard about the food, that means it’s just extra background information that shouldn't necessarily influence my decision about the food itself. Relief. I had assumed that organic products were better because they were more expensive. I learned that there are two reasons they are more expensive. 1) It costs more to farm organically because labor and fuel costs are higher and yields are smaller than non-organic farming. 2) Consumers will pay higher prices for the perceived value. I learned that the overall production costs of Certified Organic products are only slightly higher than conventional farming, and most of the inflated prices are a result of effective marketing and willing consumers. Since it costs more for reasons I don't value, I can save money and buy non-organic products. Relief. I had assumed that Certified Organic farmers didn’t use any fertilizers or chemicals. I learned that there are more than 50 pesticides that are allowable on Certified Organic farms which are often applied in excess because they are ineffective. Since both conventionally grown and organically grown crops use chemicals, I choose to buy non-organic products which have been grown under equally strict guidelines that are prescribed and overseen by the USDA. Relief. Emily was fascinated and also relieved by this information. She invited me on her podcast to share these and other thoughts about our Connecting City To Farm journey. Also, we get into some other fun mothering issues. Hope you’ll enjoy listening by clicking here. What a delightful conversation with Cheri Duckworth! Cheri is the lovely host of a TV show (Joy In Our Town) that highlights the ways people are addressing public issues in the Dallas/Forth Worth area. Rachel Logan, our Director of Media and Urban Strategies, joined me to tell our story of Farm Camp. Watch the video and learn about how we are combating childhood obesity in Dallas and beyond by taking underserved kids to our farmhouse to teach them where their food is grown and how to have a healthy lifestyle. I am fascinated by processes and take any chance I get to go behind the scenes and see how things work. So, even though I had toured a cotton gin before, I said 'yes' to the invitation to see the inner workings of the ginning process. My son came along and we had a blast! Watch this video to learn how the story of your clothes begin! They are all older than I am: 12, 10 and 5 years older. Because of the age gap, I always thought they were so big. To my young eyes, they were mature, strong and serious young men. Other than playing sports for our rural school, they spent their available time working on the farm. There are so many life lessons that these men learned through hard work and long hours. My mom has always referred to them as “the boys”. She still does. Funny, when I talk to my daughter now about her older brothers, I say the same thing. These developing men worked many hours in the heat during the summer months since there was no school and so much work to do on the farm. Mom would cook all morning preparing a big meal for dinner (that’s what we called the mid-day meal). Of course she always had a big meat dish like pot roast or meatloaf or pepper steak. The table was full of fresh, in-season vegetables (from someone’s garden) like green beans, tomatoes, corn or black-eyed peas. Sweet iced tea was a staple. She made it just right. Dessert might have been chocolate cake or apple pie. Once the boys were replenished, they graciously thanked her for lunch and headed back out in the fields to walk rice levees, flag for the ag plane or dig out a pivot system. She cleaned up and got ready for round two: supper, which was the leftovers from noon with the necessary additions to make another full meal. I helped her some, but she did most of the real work. Countless opportunities presented themselves. The boys learned how to work hard with their minds and bodies. They learned how to appreciate the money they earned. They learned that good things are worth investing in and waiting for. When the weather didn’t do what they hoped, they learned that most things can’t be controlled and you have do your best with what you have. 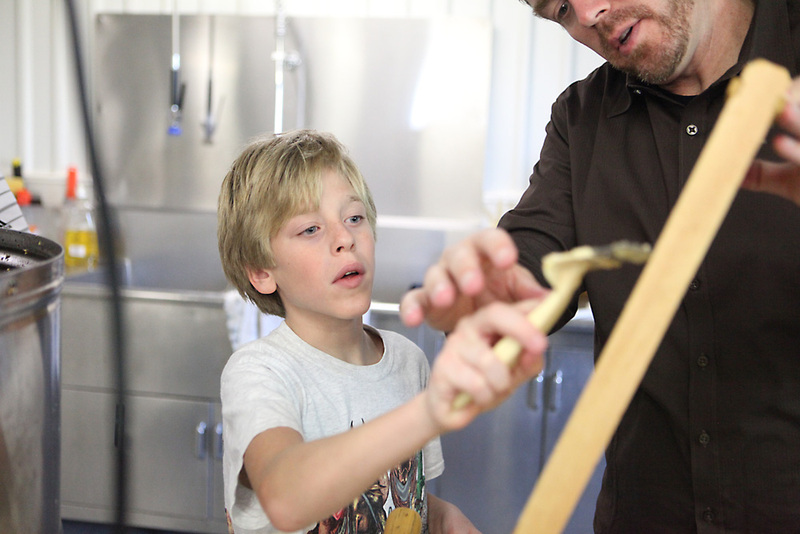 When the equipment needed repairing, they learned to solve problems with the available resources and make a new plan. When co-workers didn’t understand a project, my bothers learned how to communicate clearly and to patiently train others to do a job with excellence. Today these men are kind, strong, servant-hearted gentleman who have continued to spend long hours investing in the lives of others and providing richly for their own families. The lessons they learned on the farm have sustained them through many seasons of life. I am so proud to be their sister and hope my sons are learning some of these valuable lessons, too.